You are in Milan and it is a good chance to taste home-made ice cream, because Milan is fool of good Gelato shops! 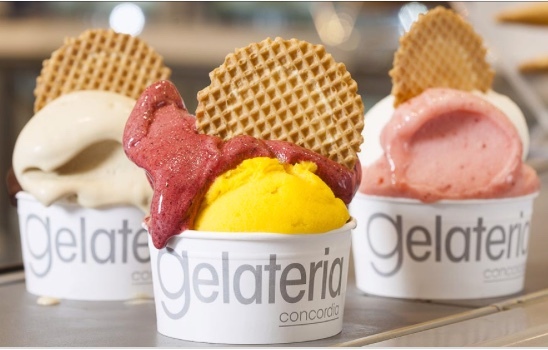 After a nice bike ride in Milan you, might need to refuel and gelato is the best thing for that! 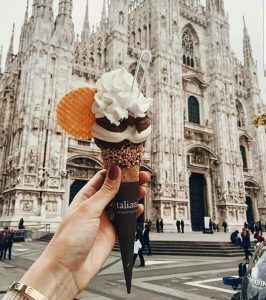 We bike a lot through Milan and we have tried almost all the gelaterie in the city. So, just trust us! 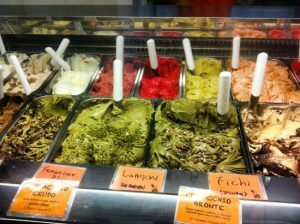 Italian ice cream has to be fresh, prepared maximum a day before and only with seasonal fruit and vegetables. If you see a peach ice cream flavor in March – then run away from that gelateria. 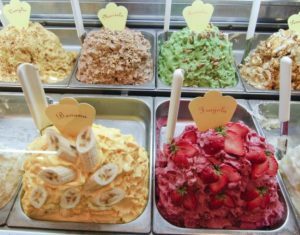 Check out our list of the tastiest ice cream shops in Milan! If you do not feel like eating gelato, then try a classic italian coffee with a scoop of an ice cream! It is called caffè – affogato. The best flavour for the caffe-affogato is Vanilla, but you can customize it as you wish. Now, back on the bike to discover the city and its hidden gems. 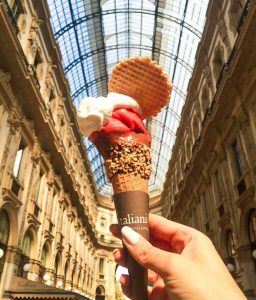 Join our cycling tour in Milan and you will see the things tourists never find and, of course, we will stop for a gelato!